Communities In Schools – Bay Area recently presented a plaque to representatives of the Employee Community Fund of Boeing Houston in recognition and appreciation of their support of CIS-Bay Area programming. 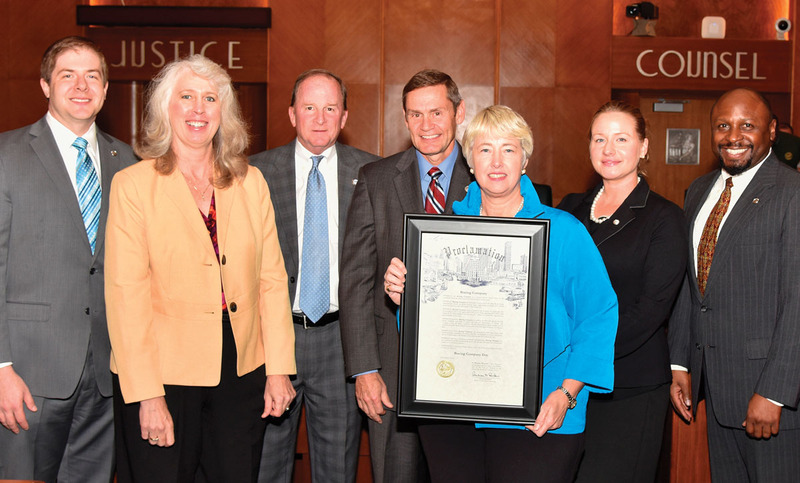 CIS-Bay Area is a nonprofit organization that provides dropout prevention programming for at-risk and economically disadvantaged children and has programs on 16 Clear Creek and Dickinson ISD campuses in Harris and Galveston counties. This year 1,275 students will receive case management services and over 14,000 will participate in CIS-Bay Area campus-wide activities. 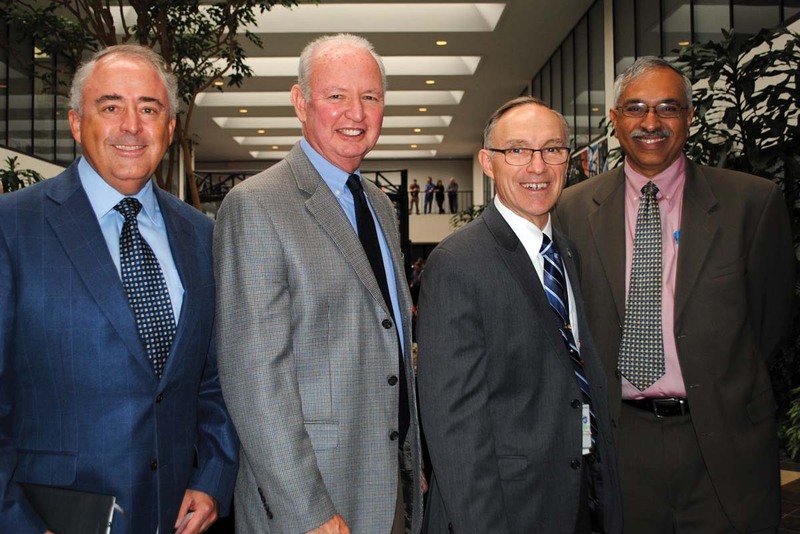 One of the largest employee-owned and managed funds of its kind in the world, the Employees Community Fund of The Boeing Co. has been empowering employees to make greater impact by pooling their tax-deductible donations for more than 60 years. 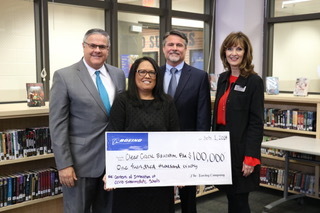 Since 2016, Boeing Houston ECF has awarded $14,500 in grant support for Communities In Schools – Bay Area school-based dropout prevention programming. CIS-Bay Area’s mission is to surround students with a community of support, empowering them to stay in school and achieve in life. For more information on Communities In Schools – Bay Area dropout prevention programs, visit www.cisba.org or call 281-486-6698. If I could switch places with someone for just one day, I’d choose: DeShaun Watson – He’s the most exciting and dynamic quarterback out there and he plays here in Houston! If I could travel anywhere, I’d go to: Europe – There is so much history there it mesmerizes me. There’s not one place you can go and be bored. 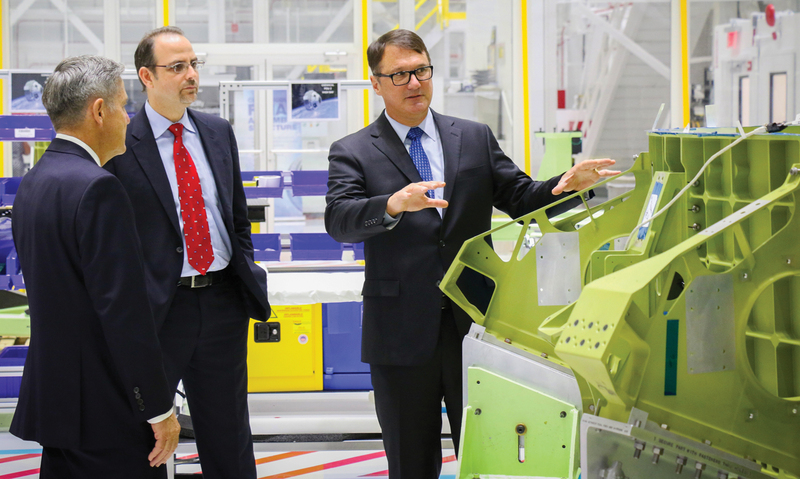 Boeing Vice President – Commercial Programs John Mulholland shows CST-100 Starliner flight hardware to Kennedy Space Center Director Robert Cabana, left, and Bastion Technologies President Jorge Hernandez. Boeing and Houston-based Bastion Technologies, Inc., a Boeing supplier for almost 20 years, have signed an agreement under a NASA program to help grow Bastion’s expertise and opportunities in the aerospace market. 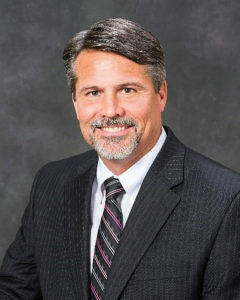 Bastion was chosen because of its quality work history on Boeing programs and its ongoing growth potential as both a Boeing supplier and a standalone NASA contractor. 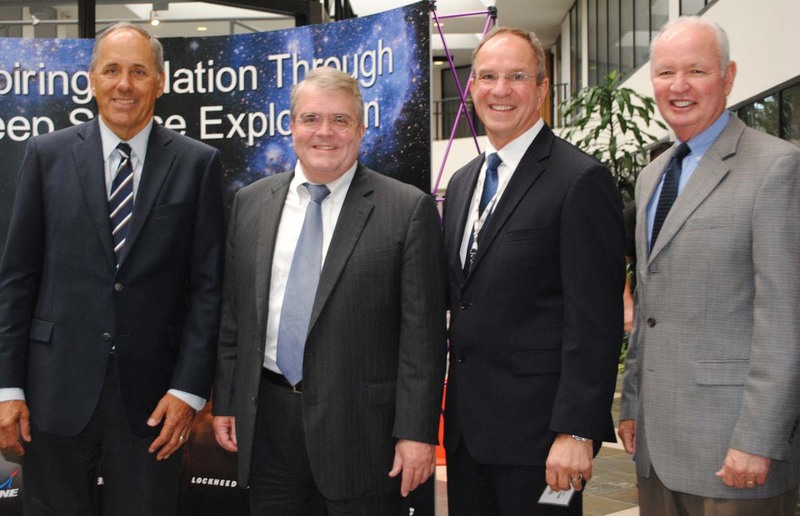 Called the Mentor-Protégé Program, the initiative encourages NASA prime contractors (mentors) to help small businesses (protégés) develop expertise needed to perform NASA work, growing and diversifying the agency’s supplier base. During the next 18 months, Boeing and Bastion Technologies will share best practices in areas such as manufacturing, quality, marketing and business development. 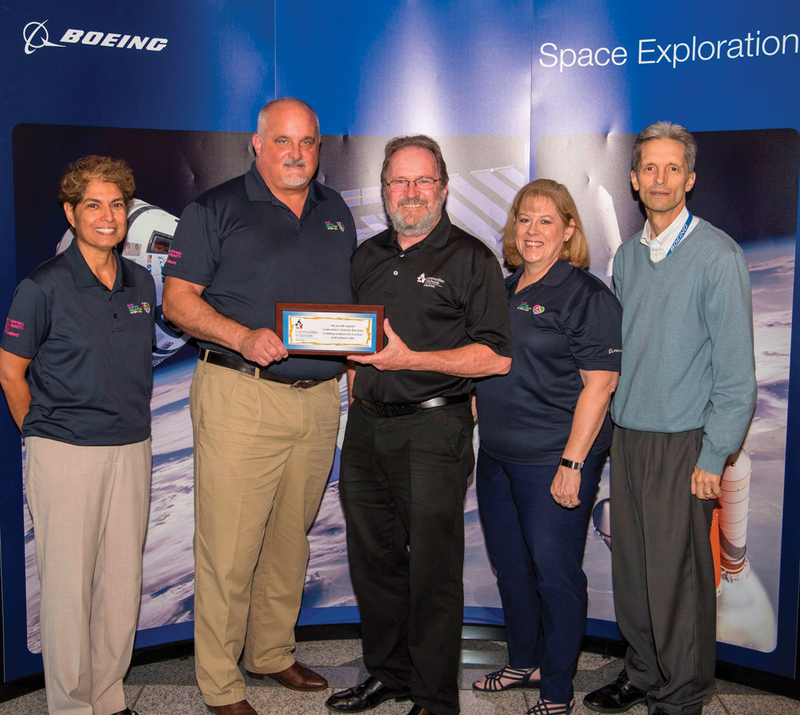 Boeing, one of 26 NASA prime contractors serving as mentors, commits considerable resources toward supporting and developing its supplier network. The company committed more than $5 billion to contracts with small and diverse businesses in 2015. Bastion is a certified small, minority-owned engineering and scientific services company headquartered in Houston. Its products and services include mechanical, electrical and structural design and analysis, systems engineering, information technology and safety and mission assurance services. Bastion’s support to the Starliner program will provide the company a considerable foundation in the Houston and Florida communities.